Microsoft set lofty goals for how Windows 10 would work. Windows 10 would be the last “version” of the operating system to be offered. (Forbes Magazine)From this point forward, Windows 10 represents a level of functionality, enabling the computer, offering responsiveness, and anticipating the wants, needs and desires of soon to be a billion users. Users started getting icons on the Windows start bar, allowing them to reserve their free copy of Windows. Microsoft worked hard to maintain a smooth upgrade experience for everyone. The 6GBs of operating system were downloaded quietly in the background. When ready, the users were given the opportunity to start the install. A few reboots later, and Windows 10 was installed. In the event that users did not like the upgrade, they would be allowed 30 days to roll back to the old operating system. 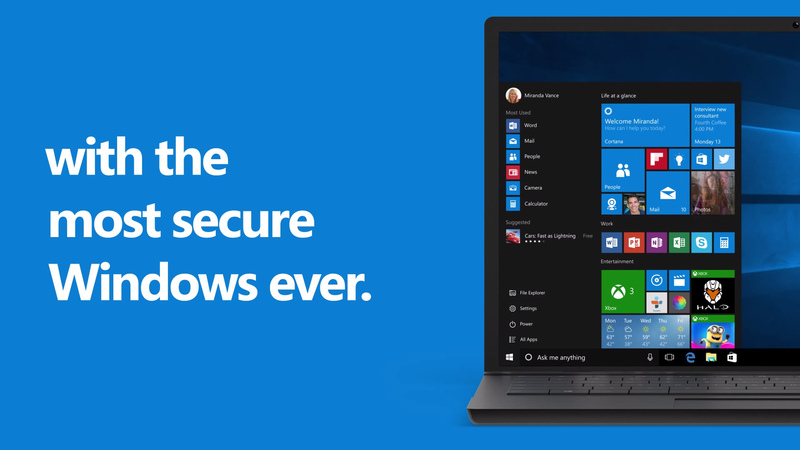 Within two months, a hundred million users had installed Windows 10. (Microsoft Support)However, the turmoil for Microsoft had just started, as researchers found that Microsoft had not removed the telemetry debuted within the Early Access Release. Rather, they just stopped telling users about it, but collected more information for production users than had even been done for the testers. Microsoft defends their need for this data. They assert that they require lots of detailed user information to allow the operating system to dynamically evolve and serve the needs and desires of a user. Herein lies the problem, as their answer seems incomplete and disingenuous. Why would it collect this data? A Scroogled campaign video, where Microsoft seems to accuse Google of exactly what they are doing with Windows 10. Advertising revenue? 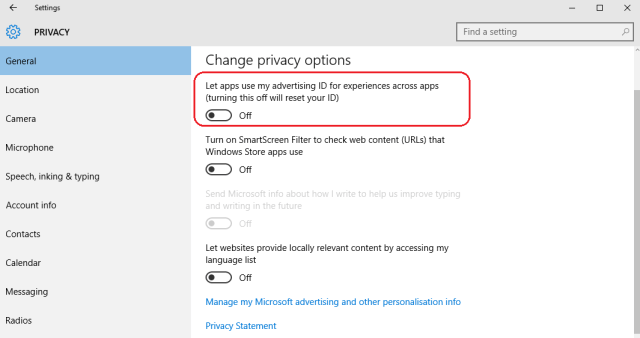 Microsoft’s data collection includes creation of very specific preferences and an advertising user ID, where they can send customized content to a user’s desktop, I doubt for free. Microsoft is a big company with customers and stockholders to satisfy. They had a huge misstep with VISTA, an needed to get things on track. The company business policy is moving to the cloud. Netscape did it in 1994, Google did it in 1995 along with Yahoo, ebay and Amazon. Sun Microsystems had an office suite that ran in the browser in 1997. Google has had a formidable office suite as part of their Apps for Business for a long time now. With the release of Office 365 and Windows 10, Microsoft is making clear the fact that they have to embrace the “cloud”. To do this, information is valuable, and user experience is paramount. I do not doubt that Microsoft is collecting very granular details about software and hardware issues in order to increase reliability and performance. However, they are also harvesting all voice commands and typed search commands, and all URLs and much content entered through the Edge browser. So, Microsoft is making the OS work better for a user, and even improving the video driver on a new computer, and pushing the fix rapidly. It is the other stuff that gets a little intrusive. Capturing all searches, typed and voice, uses of the browser, starts to look like marketing material. So, Microsoft claims that much of what they collect is not used for ads, but some is. So, they are also collecting email content, pictures, file names, contacts and more. While they claim that this information is not used for marketing, it is also “anonomized”. They claim that they do not collect personally identifiable information from the computer. However, this counters the collection that was done for the Early Access Release, and other sources that seem to indicate that Microsoft is collecting much more than they readily admit to. Just within the privacy agreement, they confirm that they collect a user’s email address, and in iterations of the agreement, actually assert ownership of collected data and rights to share it. The problem at this point is not that Microsoft is collecting data. Rather, the problem is that Microsoft won’t provide a clear answer, transparency and a chance for objective review and ongoing audit. 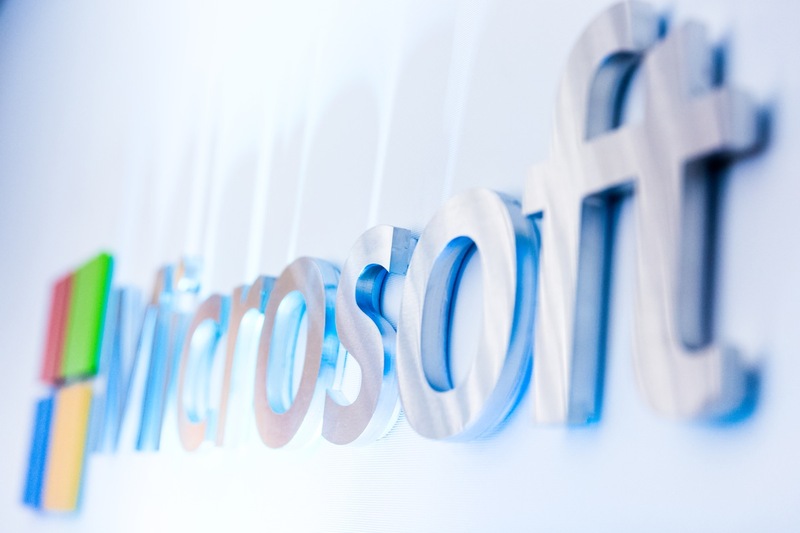 While individual users may sacrifice some unclear information collected by Microsoft in exchange for a fast computer that gets to Internet and email, it is different when there are compliance issues. Large enterprises have internal senior management that needs to be aware of information that is being collected, how, how often, and how it is being used. It is not enough to just turn it off without a clear way to review that it has turned off. A large organization has information distribution issues, potential privacy issues within certain countries and from country to country around the world. Lawyers need to insist on reviewing every bit of data collected within their firms, and have the opportunity to share the data, redact private information, or disallow it all, upon review. Healthcare providers, governed by HIPAA, need to attest to certain data management and protection practices. Without being able to absolutely confirm what information is collected, from where, and sent to where, healthcare providers are at a drastic risk for HIPAA patient privacy issues. The information that Microsoft collects within Windows 7, 8.x and 10 is obfuscated through a myriad of ports and communications channels, and encrypted carefully. Microsoft has stated repeatedly that the information is anonimyzed, but collected to improve the Windows user experience, and also to improve the performance of the operating system. While data collection individually within the Telemetry and CEIP of Windows may not be coupled with Sensitive Personal Information, a few examples show how this information is at Microsoft’s fingertips. Based on the information schema above, any medical office running any supported version of Windows, even the enterprise version, may have violated patient privacy, and needs to disclose this based on HIPAA requirements. 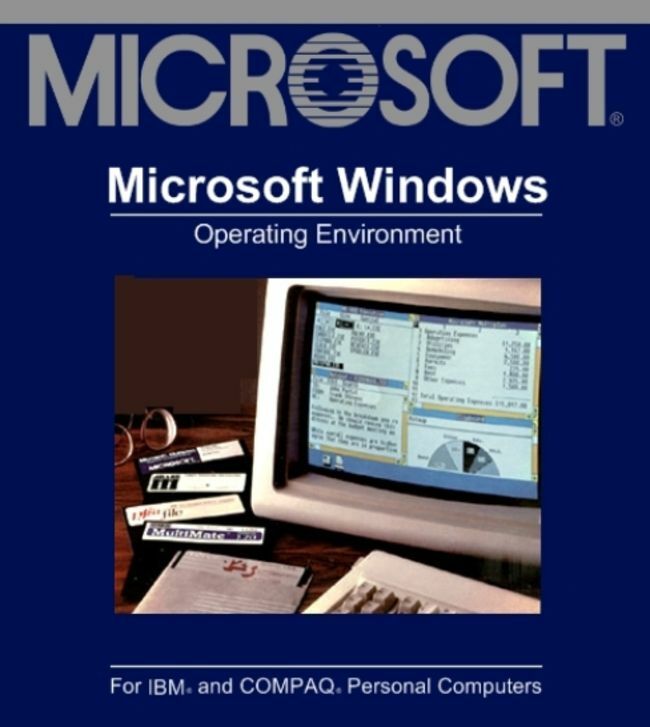 Based on the information schema above, any law office running any supported version of Windows, even the enterprise version, may have violated client privacy, and needs to disclose this to clients, based on the American Bar Association. 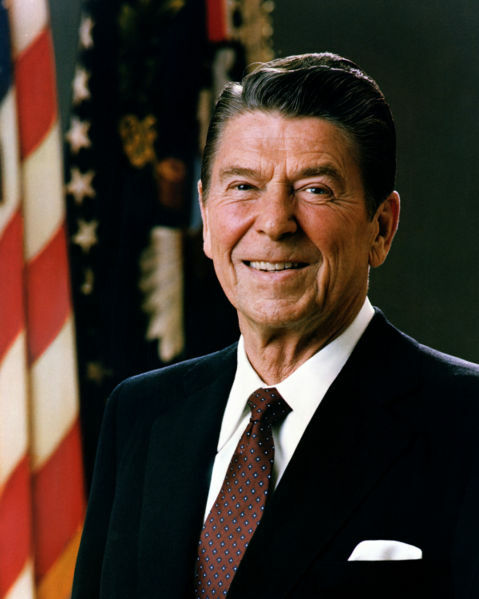 “Trust, but verify”, President Ronald Reagan said to Mikhail Gorbachev, December 1987 in Washington, DC for the INF Treaty signing. According to Wikipedia, a Trojan horse, or Trojan, in computing is any malicious computer program which misrepresents itself to appear useful, routine, or interesting in order to persuade a victim to install it. 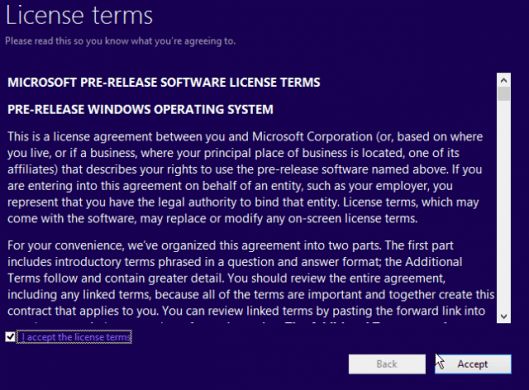 It is impossible to comply to privacy policies with Windows 10 without a few changes. A policy defines generally what information is shared internally, is protected, how the information is moved, using what means, and how this is verified in practice. Doctors, lawyers and CISOs at global organizations have the same issues. While they all have policies and high level ideas about how private data will be kept private, and what information that is not private can be shared, there has to be a way to validate this. Windows 10 users need a way to review all the data collected, monitor it for personal objections, or violations of defined policies, and from there, refine internal audit and compliance management procedures. It is not that we don’t believe Microsoft when they say that they are not collecting personally identifiable information, and that they won’t do anything bad with it, we just don’t have enough information to make an objective judgement. 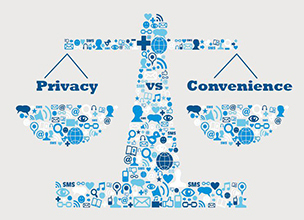 Business and personal users need the ability to confirm that the data collected is within the scope of the privacy agreement, and within scope of agreements professionals have with regulators, licensing organizations, insurance providers, stock holders and business partners. For Microsoft to resolve this going forward, they will need to actually embrace transparency completely. Allow people to review the collected data, and earn credits to upload the data, as they choose. The way Microsoft is doing it now only confirms suspicions that they are only telling us what we want to hear, and they are not willing to prove it.